While media focused on a few hundred “caravan migrants” in April, the number of apprehensions of people illegally crossing the U.S. southwest border with Mexico continued to increase for the fourth straight month. Following a spike in March, the number of apprehensions increased in April by nearly three percent. 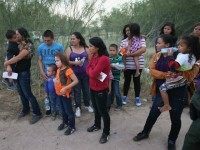 The arrests of unaccompanied minors and children traveling with only one parent or guardian skyrocketed in March and approached levels not seen since the Obama Administration in 2013 and 2014. 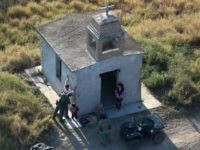 The number of illegal immigrants apprehended by Border Patrol agents in the southwestern U.S. increased slightly in February. 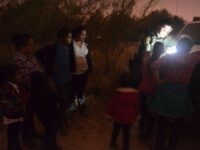 At the same time, the numbers of minors and family units apprehended decreased. The number of total migrant arrests are up substantially over the same month in 2017. The apprehension of illegal immigrants crossing the southwestern border fell for the first time since April 2017. Border Patrol agents apprehended 25,980 in January trying to cross between legal ports of entry. The number of families apprehended by Border Patrol agents grew by 625 percent from a low point in April 2017. The figure fell sharply during the first four months of the Trump Administration but has risen steadily thereafter. The number of illegal aliens apprehended and determined to be inadmissible along the southwest border with Mexico rose again in December. The figures exceed those under President Barrack Obama in the months leading up to the surge of unaccompanied minors and families in 2014. The number of families apprehended in December 2017 rose 15 percent over the previous month. 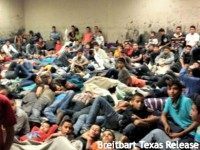 The apprehension of illegal immigrants crossing the southwestern U.S./Mexico Border has risen steadily into numbers previously reported by the Obama Administration. Since falling to a historic low point in April 2017, apprehensions have increased in each of the following seven months.